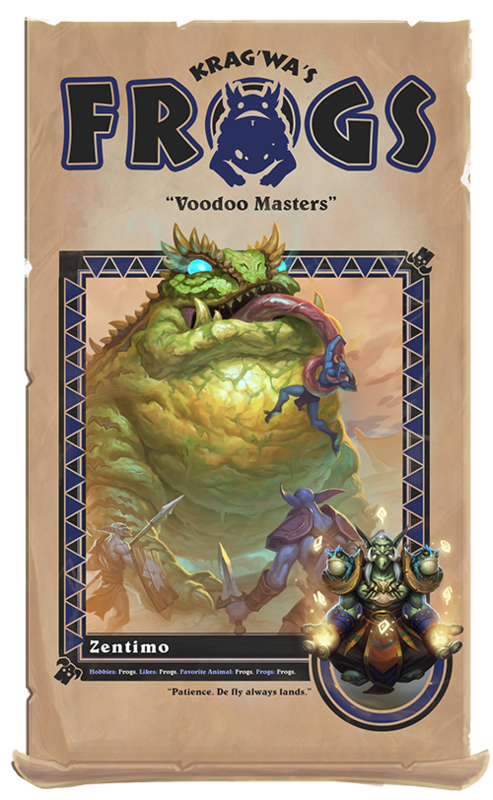 There were no lines at Rastakhan’s Rumble. The motley crowd jostled, shoved, and moshed their way into the arena: the competition to get a good seat was almost as ferocious as the battle that would take place on the Arena floor! Rikkar followed the flow of the crowd, his eyes open for an opportunity to get down to the Arena floor so he could meet some of his favorite competitors—and maybe score a spot on a team! Rikkar threaded nimbly through the thrashing crowd, deftly dodging elbows, administering the occasional shove when necessary. As a few slightly flattened gnomes were peeled off the walls, Rikkar noticed more posters for his favorite teams (every team was his favorite). Despite being one of the more popular Rumble teams, the Frogs had a reputation for being weird—because they were. They were also unparalleled in their mastery of troll mysticism. 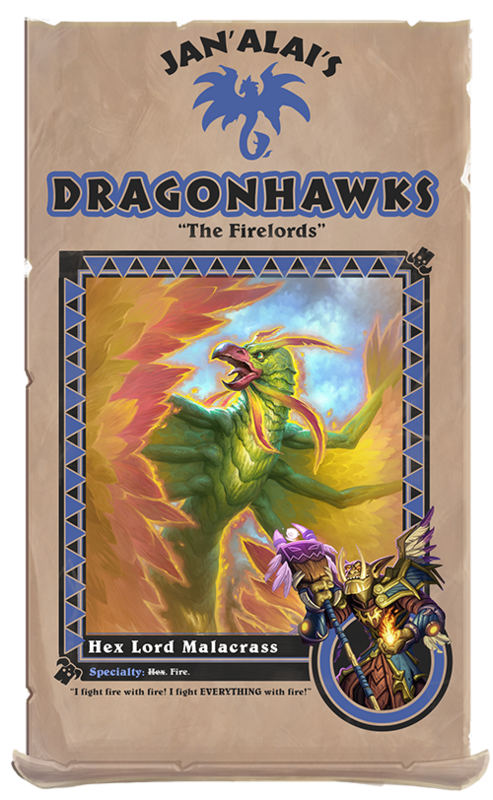 Let them scoff: Rikkar knew that joining Krag’wa’s team would make his talent with elemental magic blow up. 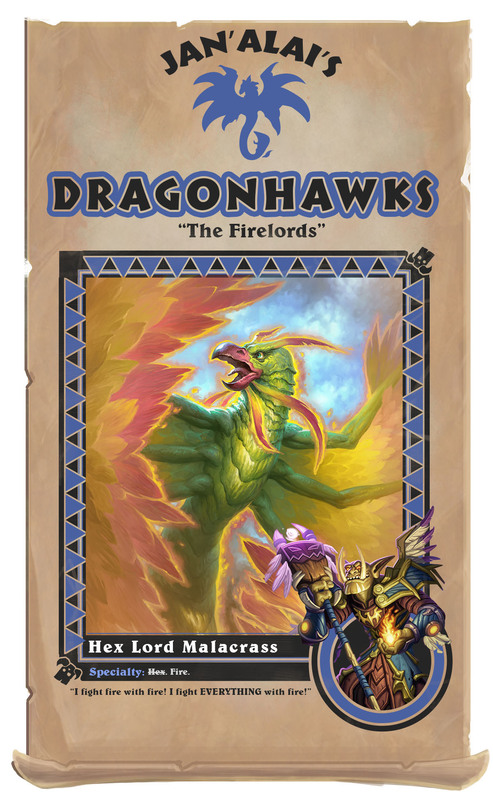 Speaking of “blowing up”, the Dragonhawks were the hottest team in the Rumble this year. Everyone was talking about how they were on fire. Literally. All the time. And everything around them. If you absolutely, positively have to torch every adversary in the Arena, accept no substitutes. Rikkar admired Malacrass’ showmanship. Despite his team’s reputation as hot-heads, they knew how to fire up the crowd before sending the fireballs flying. 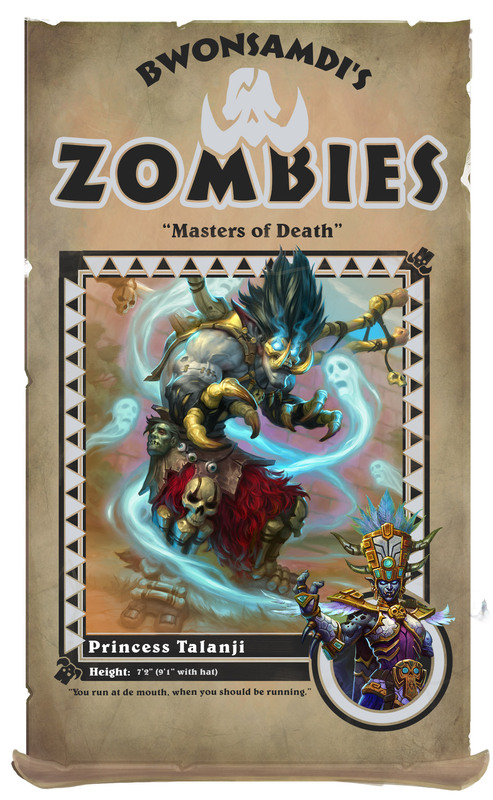 Everybody knew that Princess Talanji was a reluctant Rumbler, and everyone also knew that it didn’t matter: with her as Champion of the Zombies they were the team to beat. 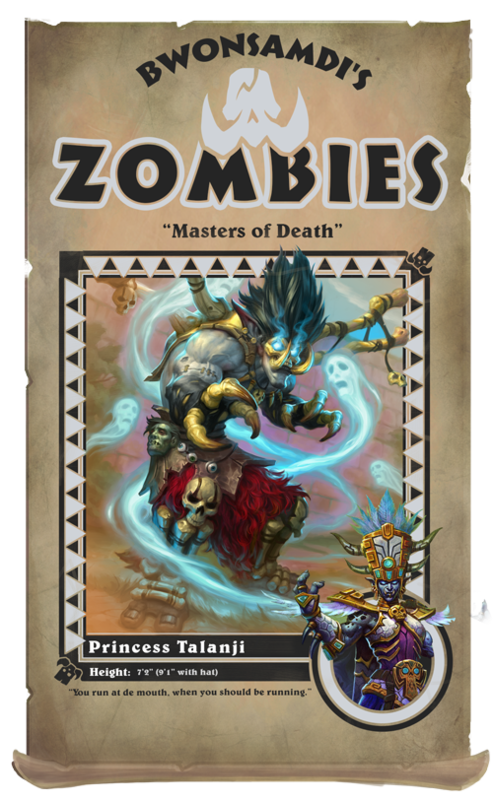 Rumor had it that King Rastakhan himself had made some kind of bargain with Bwonsamdi, and ever since his family (including Princess Talanji) was required to serve the Loa of the Dead. 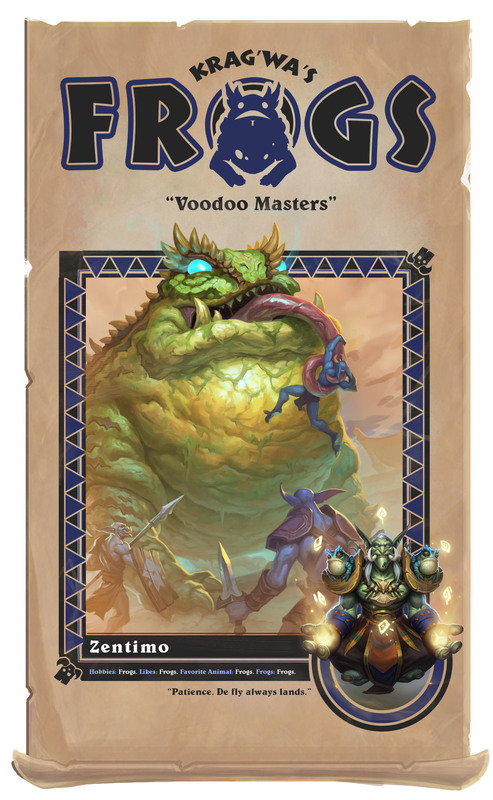 Rikkar would have joined the Zombies at the stop of a heart, deal or no deal—Bwonsamdi was one of the most powerful Loa around. 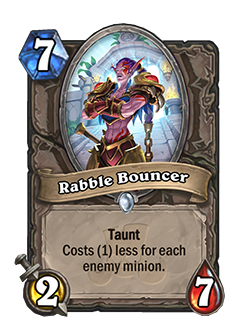 Rikkar saw an opening, and finally managed to slip past the bouncers and into the Arena! He inhaled the lovely aromas of ozone, hot steel, sand, and the press of thousands of bodies. And what’s better in the muggy, sticky, sweltering jungle heat than. . . soup? The usual funnel cake vendors were absent. 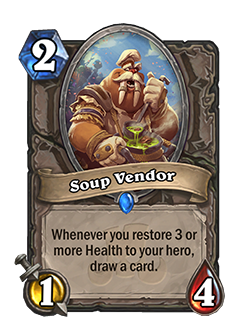 Instead, enterprising Tuskarr were competing with the trolls peddling magically frozen ice cream to sell steaming bowls of stew with unidentifiable chunks floating in it. It seemed that the Tuskarr Bros. had mistakenly shipped a huge surplus of soup to Stranglethorn instead of Northrend, but they were making the most of it. Of course, Rumble fans being Rumble fans, more soup was getting ON the crowd, than was ending up IN the crowd. Rikkar dodged hurled soup and flying frozen treats as he searched in vain for a place to sit, but everywhere he looked the stands were already packed with roaring Rumble fans. He finally spotted a lone empty seat, all the way up by the announcer’s tower. It was as far back from the action as you could get, but it was better than nothing, wasn’t it? Swallowing his disappointment, Rikkar trudged up the many (many) stone stairs and snatched the seat before someone else could. From this distance, floor of the arena looked like a gold coin with ants skittering on it. How was he going to get into the action from here? If he was gonna get his shot, Rikkar realized that he'd have to take drastic action. . .